The total number of illegal immigrants (11 to 12 million) has held roughly constant in recent years because the number arriving has roughly balanced the number going home or getting legal status. This has created the mistaken impression that the problem is largely over. The most recent estimates from the Center for Migration Studies indicate that 1.7 million aliens joined the illegal population from 2009 to 2013 and Pew Research Center estimates indicate 1.5 million — 300,000 to 400,000 a year. The Center for Immigration Studies estimates an additional 790,000 joined the illegal population since 2013 for a total of 2.5 million new illegal immigrants since President Obama took office. In July 2008, the Center for Immigration Studies was the first to estimate that the pace of illegal immigration had slowed significantly.4 Since then, many other researchers have found the same thing. However, this fall-off in illegal immigration does not mean that new illegal immigration has stopped. In addition to return-migration and legalizations, there is also natural mortality. Although the illegal immigrant population is relatively young, it is also very large; as a result, there are about 50,000 deaths a year among illegal immigrants living in the United States. The lead author of the Center for Migration Studies report on illegal immigrants, Robert Warren, who was formerly with the INS, has estimated that in 2009, for example, 558,000 illegal immigrants received legal status, returned to their home countries, or died. At the same time 384,000 new aliens joined the illegal population that year.7 Thus, even if roughly 400,000 new illegal immigrants overstay their visas or sneak into the country annually and join the existing illegal population, the overall population of illegal immigrants can remain roughly the same size. Research by the Center for Migration Studies. The Center for Migration Studies (CMS) in New York published an estimate of the illegal immigrant population for July 1, 2013. CMS reported that 1,729,793 illegal immigrants were in the country on July 1, 2013, who had lived here for less than five years. That is, they arrived between January 2009 and July 1, 2013.8 This means that, on average, about 380,000 new illegal immigrants settled in the United States annually in the first four and half years of the Obama administration. If we exclude 18 months of this time period to account for those who arrived January 2012 to July 1, 2013, it implies that 2.35 million immigrants arrived from July 1, 2013, to May 1, 2015. About one-third of new arrivals in the United States each year are illegal immigrants, thus a crude estimate would be 780,000 new illegal immigrants arrived in the United States since the middle of 2013. A more sophisticated estimate would follow the same approach, but calculate the flow of illegal immigrants by country and then aggregate the results. Based on data provided by Robert Warren and our own prior analysis of illegal immigrants in 2011, we calculated the share of new arrivals by country who are illegal immigrants.16 Our country-by-country estimate produces almost the same result — 790,000 new illegals arrived from July 1, 2013, through May 1, 2015. 1 The Pew Research Center estimates that the number of illegal immigrants in 2013 was "unchanged" from the 11.3 million in 2009. See Figure 1 in "As Growth Stalls, Unauthorized Immigrant Population Becomes More Settled", Pew Research Center, September 2014. The Center for Migration Studies estimate for 2013 of 11 million illegals is almost identical to their 2012 estimate of 11.1 million. Figures for 2013 and 2012 are published here. The 11 million illegals they estimate for 2013 compare to the 11.7 million they estimated for 2010, and the 11.3 million they estimated for 2011. See Table 7 in Robert Warren, "Democratizing Data about Unauthorized Residents in the United States: Estimates and Public-Use Data, 2010 to 2013", Journal on Migration and Human Security, Vol. 2 No. 4, 2014. The Department of Homeland Security's most recent estimate is for January 2012 and shows no significant change in the illegal population from 2010 to 2012. The DHS estimation method changed in 2010, so prior years are not directly comparable; however, the revision they published for their 2010 estimate added 800,000 to their original estimate. Doing the same to their 2009 estimate would mean 11.6 million illegal immigrants in that year, very similar to their 2012 estimate of 11.4 million. See Figure 1 in Bryan Baker and Nancy Rytina, "Estimates of the Unauthorized Immigrant Population Residing in the United States: January 2012", Department of Homeland Security, Office of Immigration Statistics, March 2013. 2 See Michael Hoefer, Nancy Rytina, and Bryan C. Baker, "Estimates of the Unauthorized Immigrant Population Residing in the United States: January 2008", Department of Homeland Security, Office of Immigration Statistics, February 2009. Table 1 shows 4.32 million illegal immigrants living in the country in January 2008 who had entered from 2000 to 2007 — 540,000 per year over this time period. However, it seems certain the rate was higher earlier in the decade than later. In the same table, DHS reported that 1.07 million illegals were living in the country in January 2008 who arrived from 2005 to 2007, implying about 360,000 new arrivals per year. It must be remembered that the year of arrival data in Table 1 is a snapshot. There is always some attrition among the illegal population as some illegal immigrants return home, receive green cards, or die each year. Thus, the actual number of new arrivals based on the DHS 2008 estimate is somewhat higher than shown for all but the most recent year. 3 Robert Warren, the lead author of the CMS estimates, has done the most extensive work on the components of change in the illegal population. He and his coauthor estimated that between 530,000 and 560,000 illegal immigrants a year went or were sent home, legalized, or died from 2007 to 2009. See Table 3 in Robert Warren and John Robert Warren, "Unauthorized Immigration to the United States: Annual Estimates and Components of Change, by State, 1990 to 2010", International Migration Review, February 2013. 4 Steven A. Camarota and Karen Zeigler, "Homeward Bound: Recent Immigration Enforcement and the Decline in the Illegal Alien Population", Center for Immigration Studies, July 2008. 5 The Department of Homeland Security reports that 162,737 people received a green card as a result of asylum or cancellation of removal from 2011 to 2013. All of those who benefit from cancellation of removal and the majority of those who are granted asylum are in the country illegally. 6 Normally, those who live in the United States illegally for more than six months are supposed to be barred from reentering the country for up to 10 years when they fly home to get a green card. But the Obama administration has decided to grant "extreme hardship" waivers to about 80 percent of these individuals, making it much easier for illegal immigrants in the United States to get legal status. See Jessica Vaughan, "New Waiver Shields Sponsored Illegal Aliens From Penalties", Center for Immigration Studies, 2013. 7 See end note 3. 8 It should be noted that there was already some attrition by 2013 among those who arrived 2009 to 2012, roughly 3 percent per year. Thus the actual number of new arrivals each year was somewhat higher. All of this information was confirmed in emails and a telephone call with the lead author of the CMS analysis, Robert Warren, on June 29, 2015. 9 See Figure 3 in "As Growth Stalls, Unauthorized Immigrant Population Becomes More Settled", Pew Research Center, September 2014. 10 Information confirmed in a June 26, 2015, email from Jeffrey Passel. The reason for this is that in the public-use data from the Current Population Survey, on which the estimates are based, groups arriving cohorts by multiple years; 2008 and 2009 are reported together in the data. 11 January 2008 to March 1, 2013, is a total of 62 months; excluding 12 months (one year) from this number indicates that 1.46 million illegals arrived from the start of 2009, when the president took office, to March 2013. 12 The CMS estimate includes an extra four months of illegal immigration, equal to roughly 100,000 illegals. 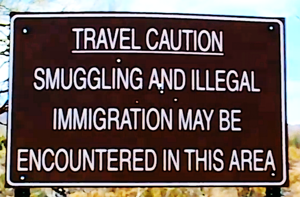 13 To understand why this must be the case, think of those who snuck into the United States in 2009. After living in the country for a year illegally, some are deported, some decide to return home on their own, and others are legalized by, say, marrying a U.S. citizen. This process happens each year, so over time each entering cohort decreases in size. Robert Warren, the former INS official who developed the estimates for CMS, estimates that about 3 percent of illegal immigrants from each entering cohort leave the illegal population in these ways each year on average. So the recent arrival figures for Pew and CMS reflect this attrition, which means the actual number of arrivals 2009 to 2013 was higher. 14 The Pew Research Center, the Department of Homeland Security, and the Center for Migration Studies all employ this approach. 15 The monthly CPS files are controlled to a population total as of the first of each month. Thus, in terms of the nation's population, including immigrants, May data represents the country as of the first day of the month. Because we combine the April and May files to get a more robust estimate, this data actually represents the population in the middle of April 2015. 16 Robert Warren, lead author of the CMS report, was kind enough to provide by email a detailed table showing the year of entry and country of origin for illegal immigrants in July 2013 and July 2012. Warren's analysis shows that while Mexican illegal immigration has fallen significantly in recent years it remains by far the largest sending country of new illegal immigrants, accounting for roughly one-third of new unauthorized immigrants since 2009. In addition, the Center for Immigration Studies previously developed its own estimates of illegal immigrants using the 2011 Annual Social and Economic Supplement of the Current Population Survey for our 2012 publication "Immigrants in the United States, 2010: A Profile of America's Foreign-Born Population". 17 Table 1 of the DHS publication "Estimates of the Unauthorized Immigrant Population Residing in the United States: January 2007" shows 4.16 illegal immigrants living in the country in January of 2007 who had entered 2000 to 2006. 18 It is worth noting that there is evidence that immigration generally is accelerating. The 2013 April/May CPS indicates that 3.08 million new immigrants (legal and illegal) settled in the country in the three years and four months prior — January 2010 to April/May 2013. This is a good deal less than the 4.28 million immigrants the 2015 April/May CPS indicates settled in the country for the previous three years and four months.